Nothing is ever quite what it seems. The nice young couple at the nature retreat. The old man who knows a little too much on the ship. The gruff veteran neighbor down that country road. There’s always more to the story. Valuables go missing. A boy finds himself on a raft from the past. A lamb turns up dead. ON THE EDGE: Stories of ordinary lives take creepy, unexpected turns in 'Twisted Tales' by Randolph Rogers. Going from zero to 100 is a natural fit for author Randolph Rogers, who’s lived in Santa Barbara, Sonoma, and currently lives in Paso Robles and has dabbled in food writing, sheep farming, and recently fiction writing and winemaking. New Times sat down with Rogers to talk about his self-described “Hitchcockian” collection of 14 short stories, Twisted Tales, set in local spots like Paso Robles, Morro Bay, and San Luis Obispo. New Times: What inspired you to write Twisted Tales? Randolph Rogers: Well, I’ve been a writer, a food writer, for 25 years, and I have a master’s in English from Sonoma State. I wrote a detective novel for my creative project there called The Blue Hour, the time between dark and dusk. I’ve written since I was in high school. Gabriel Garcia Marquez had a famous statement: People lead three lives. They lead a public life, a private life, and a secret life. So I’m fascinated by what appears to be real and what really exists in people’s lives. NT: Why go with the short story format? RR: With people’s attention spans, buying a novel is a commitment, whereas with short stories people can read one and then come back to it. NT: With a lot of the endings of the stories in Twisted Tales, I imagine if they were shows or movies, the screen would dramatically go to black and that would be that. Was that your intended effect? AT YOUR LOCAL BOOKSTORE: You can find 'Twisted Tales' by Randolph Rogers at Phoenix Books in SLO. RR: That’s kind of a Hitchcock type thing, that ‘whoa’ response, but on the other hand, I’ve had readers and writers say to me that the endings left them with the notion that they would like more. Most of them could be expanded. NT: Why do you describe your stories on the cover of the book as Hitchcockian? RR: I think the best movie out there is Vertigo. I just love the notion that people lead secret lives and private lives, and Hitchcock really delved into that. His characters are always mysterious, enigmatic. NT: Why did you switch from writing about food for newspapers and magazines to writing fiction? RR: It wasn’t a challenge anymore for me as a writer, as a fiction writer. That’s my desire, to write fiction, and that’s all I’m doing. NT: What’s your writing process like? RR: I write every day, four to five hours. It doesn’t matter what time of day. NT: Do you have any other books in the works? 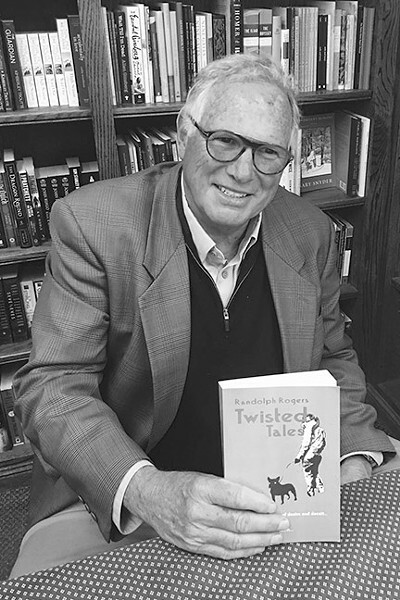 READ ON: 'Twisted Tales' by Randolph Rogers is available for sale at Phoenix Books in SLO, Coalesce Books in Morro Bay, Broadway Books in Santa Maria, and on Amazon for $19.95. RR: Another collection of short stories, Dash Rambler, will be coming out in June. The locales will all be Central Coast and some of the themes will be classic mystery. NT: Fill in the blanks. 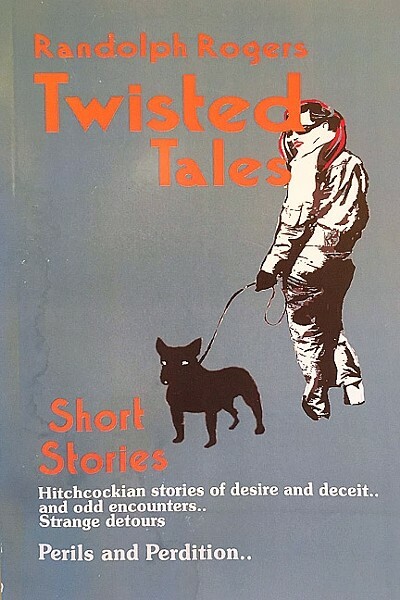 Readers who enjoy ________, ________, and ________ will also like Twisted Tales. RR: If you like Patricia Highsmith, Agatha Christie, or Ernest Hemingway. Ryah Cooley is turning the page at rcooley@newtimesslo.com.